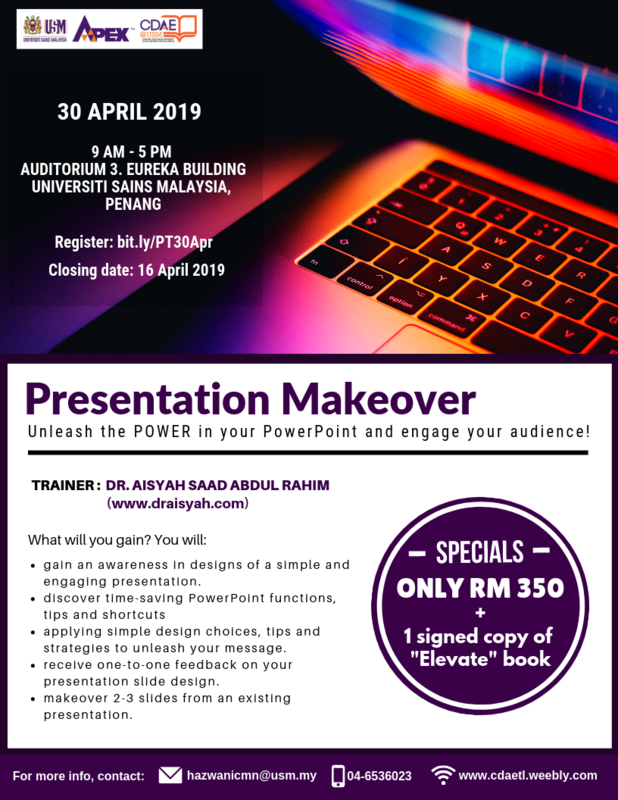 The registration for workshop in April 2019 is now open. Hurry up and book your seat now! You don't want to miss this opportunity! WELCOME to this site! Greetings from the team of trainers for 'CDAE Training for Teaching & Learning'. This program is specially packaged by the team from the Centre for Development of Academic Excellence & Students Development (CDAE), Universiti Sains Malaysia. You will find training on topics ranging from e-learning, technology-enhanced learning, and pedagogy. Browse this site to find detail information and synopsis about the courses offered.